Annual worldwide revenue from residential energy generation and storage will hit $71.6 billion by the year 2023, up from $52.7 billion in 2014, according to a new report from Navigant Research. While rooftop solar PV systems will obviously represent a significant portion of said growth, other technologies will certainly factor in as well. One key driver for this sector, according to the report, is continuing advances in new technologies, such as more efficient energy storage systems (ESSs). 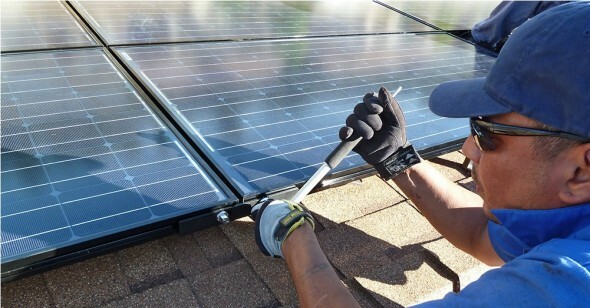 These advances, along with government subsidies for ESSs, often in the form of feed-in tariffs, are enabling the combination of rooftop solar PV systems and residential energy storage in order to collect and store energy for use when sunlight is unavailable or there is a power outage. The report, “Residential Energy Innovations”, examines the market for residential generation and storage technologies and discusses how they are reshaping the future of the residential power industry. It analyzes the key market drivers and inhibitors influencing the market, as well as major technology issues. Global market forecasts, segmented by region and category – solar PV, energy storage, electric vehicles (EVs), and residential combined heat and power – extend through 2023. The report also provides profiles of established and new industry players and explores policy issues related to residential distributed generation and energy storage technologies. Those interested in reading more can download a free copy of the report at the Navigant Research website. In related news, the world’s first building integrated solar system that provides both electricity and heat was recently installed at a small house in the inner Sydney suburb of Glebe. The system works by combining thin-film solar PV and solar thermal technologies into a steel sheet roofing product. Very interesting. I’ll be curious to see the costs of systems like these fall in the coming years, if they do then there will no doubt be a market for them.